Lastly, one of the most compelling reasons to shoot digitally is the ability to quickly capture fleeting moments. When a landscape is illuminated with rapidly changing, dramatic light, shooting digitally affords one the freedom to move around and quickly capture multiple images, like this one and this one - both taken with 10 minutes on a July morning in the Snowy Range. With my large format film camera, I'd have had to pick one spot and hope for the best. 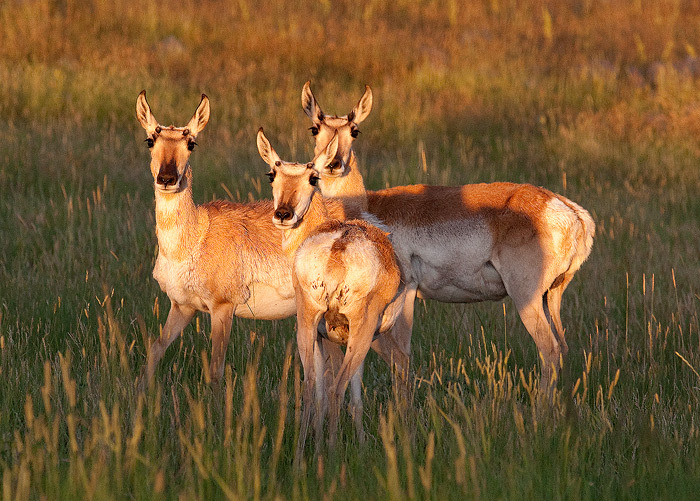 The ability to use telephoto lenses to photograph wildlife, like this trio of antelope hanging out at sunset in the Sierra Madres, is another wonderful advantage of digital capture.